We understand the need for innovation and believe in finding and developing new solutions whilst adopting a fun and refreshing approach to work. Our network is made up of like-minded individuals with complementary skills and expertise, and a passion for social good. A network dedicated to helping individuals, companies, foundations and charities to nurture, create and deliver social good. Made up of professionals with a range and depth of cross-sector skills, experience, and expertise. Committed to delivering top-quality work to high-professional standards, without losing a focus on social good. Nimble enough to respond to the ever-changing demands of the 21st century investor, philanthropist or not-for-profit. “bonum certamen”, which means “the good fight”. Peter has worked in the philanthropic and impact investing space for over a decade and is the founding CEO of Boncerto. Peter challenges, and provides guidance and support to individuals, corporations and foundations looking to engage in the next generation of philanthropy, CSR, and impact investing. Previously a Director at Geneva Global and International Manager at the Charities Aid Foundation, he is also an expert partner at Creative United who provide innovative funding solutions for arts organisations. Heading up Geneva Global’s London office, Peter worked with wealthy families and foundations to help develop and magnify their philanthropic and social impact goals. As well as representing Charities Aid Foundation on the global stage, Peter led and co-ordinated the work of their international network in East Asia and Australia, whilst also working directly with high-net worth individuals, companies, and not-for-profits looking to operate across multiple jurisdictions on a global scale. Prior to this Peter spent four years in a leadership role in the CAF corporate relations team working with some of the largest multinationals to deliver CSR strategy and implementation both in the UK and internationally. Peter has been profiled in the Financial Times and has given talks in four continents to corporate executives, next generation of wealth, and not-for-profit professionals. Recent examples include invitations to speak at the Global Governance Institute at UCL, and speaking on impact investment at the Global Family Office Community annual event. James has over ten years experience working in not-for-profit and CSR communications and is the Chief Operating Officer at Boncerto. James helps organisations tell their story with a view to attracting investment, while helping companies and individuals to best demonstrate their positive impact. Previously leading Alliance Boots’ (now Walgreens Boots Alliance) global CSR communications and reporting, he held senior communications roles at the Charities Aid Foundation and CCCS (now Step Change Debt Charity). He is also the founder of Music Heritage UK, the charity which exists to promote, protect and preserve the UK’s national popular music heritage. While at Alliance Boots, James coordinated efforts to promote the group’s global CSR programme externally, working across 26 different countries, writing and delivering their annual CSR report and website. He also led on the communication of CSR initiatives internally across the organisation. At Charities Aid Foundation, James managed PR communications to a range of audiences including high-net worth, charities and the charity sector, introduced social media as a communications channel for the organisation, and devised and delivered an online fundraising course to over 500 charities. He continues to offer this training via the Refugee Council to its refugee community organisations. In conjunction with music industry stakeholder group UK Music, James wrote the country’s first report into the potential for music heritage tourism. 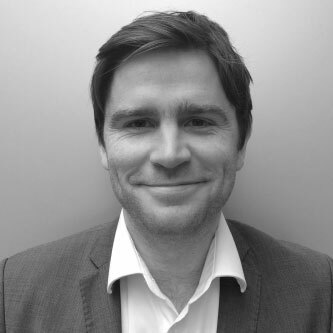 David has worked on Impact and Project evaluation for more than 11 years across the private, public and charitable sectors; helping organisations to better understand their purpose, activity, value and client needs. David brings a disciplined, thorough and clear approach to the evaluation of projects - a legacy of his MSc. in Cognitive and Affective Neuroscience at the University of Liverpool. He identifies opportunities to collect and examine meaningful information within organisations. This information is a valuable resource to better support the management of projects, realise the value of organisational knowledge, and maximise the positive impact of services. He has worked with a range of organisations including, The Citizenship Foundation, Impetus PEF, Collaborate CIC, and the Campaign for Fair Finance. 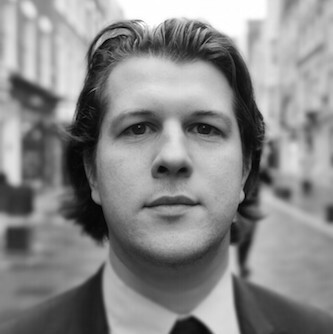 Gareth draws on over a decade of experience working in public affairs and strategic communications, advising charities, social enterprises and startups to help them get their message across. He has worked for some of the largest charities in the UK, notably UNICEF and the Charities Aid Foundation (CAF), with leading social businesses, such as Traidcraft, and at high profile companies, including Dods Group. 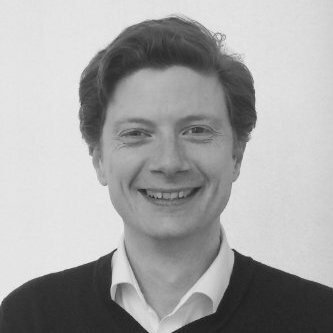 He has extensive agency side experience, most recently as an account director and member of the senior management team at Champollion, and over the years his clients have included the likes of the Canal & River Trust, Cripplegate Foundation, Bond and the Esmée Fairbairn Foundation. 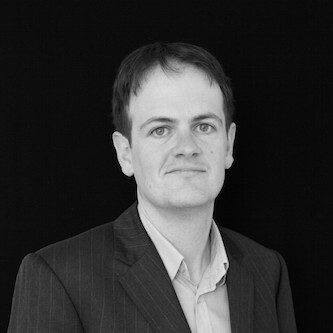 Gareth is also an elected Councillor in the London Borough of Lewisham and Trustee of a conflict resolution charity. Gareth knows what makes politicians and journalists tick and how to ensure that the organisations he advises and represents stand out from the crowd. 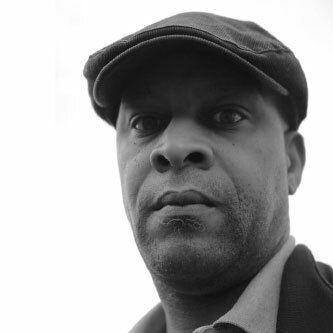 Kenny Washington has spent over 30 years working across a number of industry sectors including music industry multi-nationals (Sony Music, BMG), software development, the manufacturing industry and charity (Christian Aid). He currently works as a consultant. As an integral part of his consultancy practice he conceives and realises value in ideas through relationship and practical network building. Recently he has formed Engage SPM which develops social entrepreneurship models that combine inclusive business practice with innovations in social development. London based communications and marketing experts, Marlo are responsible for coming up with the Boncerto brand and helped us bring our ideas to life. They're experts at all elements of design, branding and communications, and bring a wealth of experience designing for major household names to start-up companies, charities and other organisations. We're looking forward to working closely with them again on future projects. Originally from Belfast, Gareth now lives and works in London. Whether it's a corporate event, launch of a new product, charity fundraising party, or anything in between, Gareth's images will capture the mood, atmosphere and excitment of the room. He aims to evoke an emotional response with the photos he takes and specialises in snapping images of unusual angles, graceful light, charismatic faces, and striking architecture. A few years ago he travelled the world with his camera, taking pictures as he went. We've shared some of our personal highlights from his around-the-world archive on our site - and we're looking forward to sharing more of his pictures of stunning landscapes, vibrant cultures and charismatic individuals.